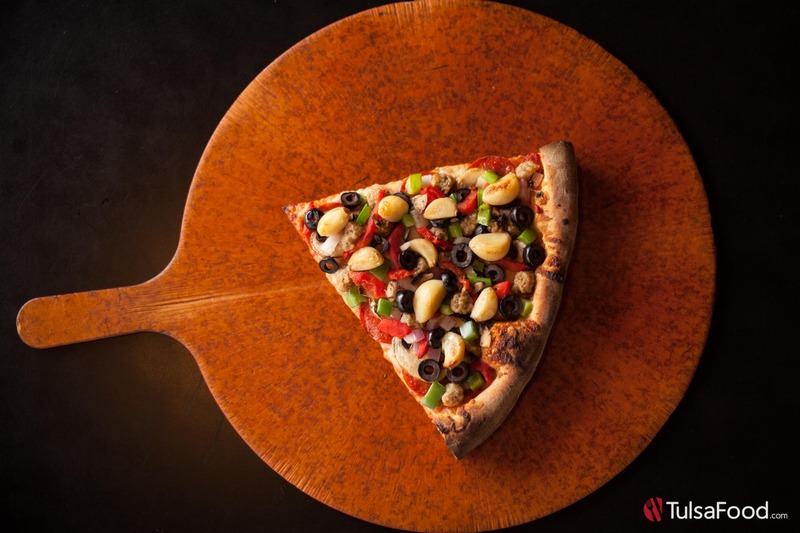 Fancy yourself a pizza connoisseur? Think you know what’s what when it comes to Tulsa’s best pizza? 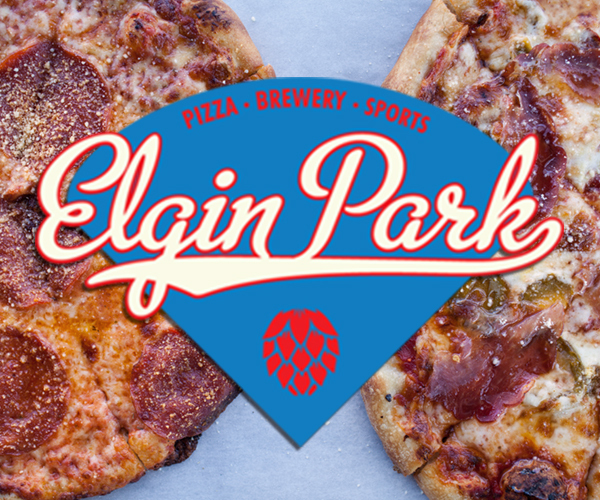 Time to put your money where your mouth is, because these are our favorite local pizza joints around town, and they’re as good any we’ve sampled in New York, Chicago, OR Italy! And let’s be real: a legit pizza master has probably already tasted all or most of ‘em, but in case you haven’t, clear you schedule, slide up to the counter, and order some of the good stuff. 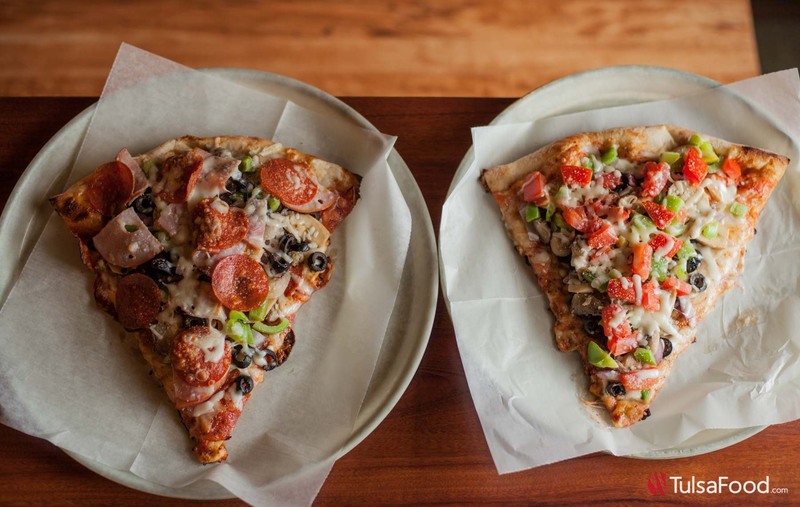 The Bausch Brothers and John Davey have been taking the Oklahoma pizza scene by storm for the past decade, and with three restaurants and a food truck in the mix, it’s safe to say they’re doing something (everything?) right. 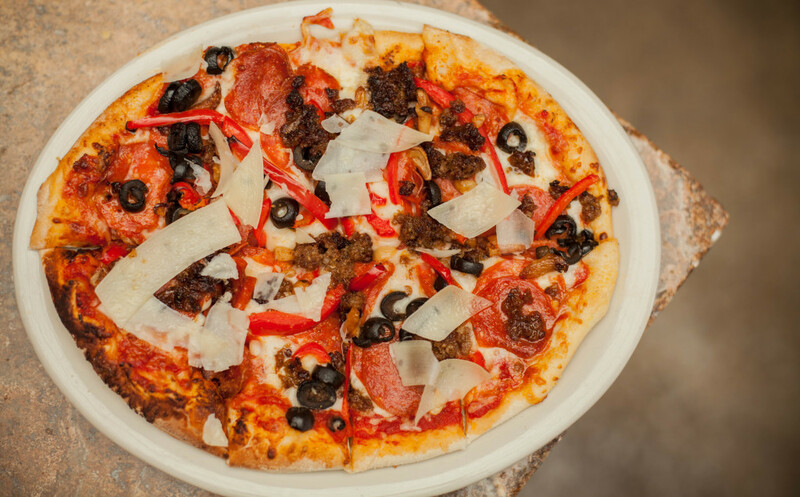 As much as we love the signature pies and salads at Andolini’s, there’s nothing quite like grabbing a quick slice at the bar on your lunch break. 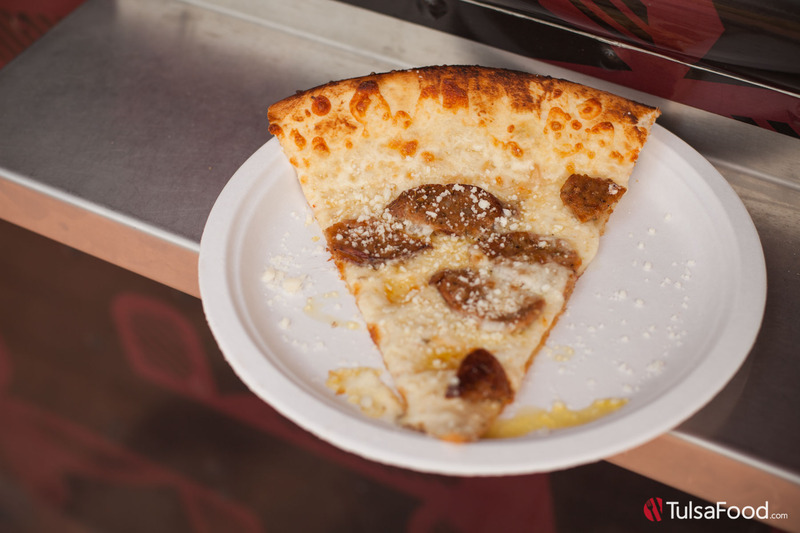 Next time you’ve got to dine and dash, grab a couple of the specialty slices of the day any weekday from 11-5 at the brick and mortar on Cherry Street, or wherever the Ando Food Truck is. Although we love a classic slice of hand-tossed with red sauce, there’s something so undeniably delicious about a well-done slice of white pizza, and Mario’s sure does have the recipe down. Creamy ricotta, white sauce, fresh herbs, and crispy thin crust make this a pizza to add to your pie rotation. 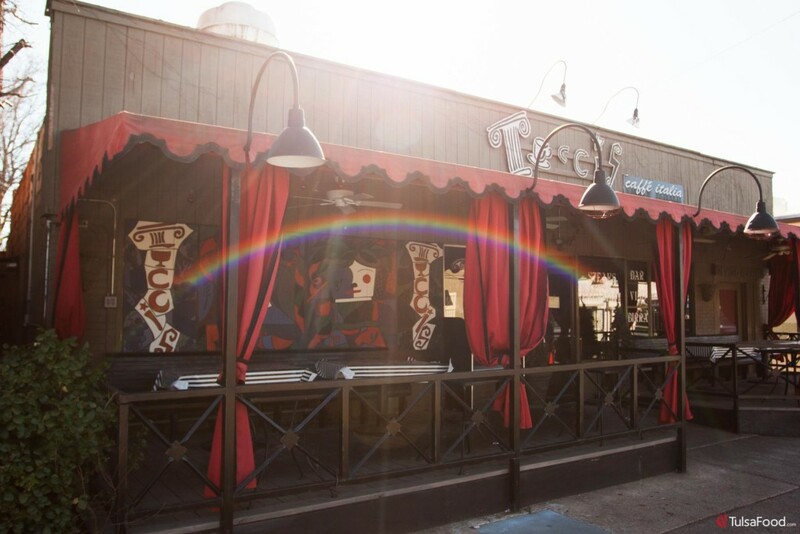 Low lighting, a romantic ambiance, and a feeling of casual indulgence make Tucci’s a primo date night option, especially if you’re trying to impress without going broke. 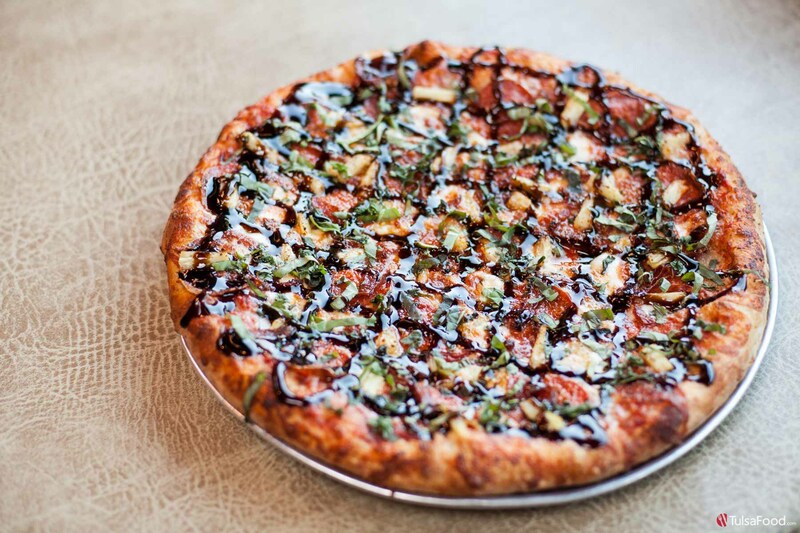 The menu offers plenty of crave-able pies, but we like the Florentine: chicken, spinach, and a pine nut pizza that’s to die for. Need something before your pie? Grab the Lemon Caesar salad to whet your appetite. Missing New York? For a taste of Brooklyn in Tulsa, pop into NYC Pizza for an experience as close to NYC as you can get in the Midwest. Big, cheesy slices hold up well on doughy but crisp crust, but don’t be afraid to fold them in half. NYC Pizza shines in other areas, too: the garlic knots and cannoli are not to be missed. Tummy grumbling after that last game of Skeeball at the MAX? Close out your tab and head next door to Joe Momma’s for a late night bite. The “Buffalo Chicken” pizza allows you to indulge in the best of two wonderful worlds when you can’t decide between wings or pizza. The “Natalie Portman” gives you a filling and tasty vegetarian option (or vegan- request the vegan sauce and cheese). But the juice is in “The Incinerator” if you prefer pain with your pie. Pictured above, this bad boy brings the heat with Joe Momma’s spicy red sauce, topped with sliced hot links, pepperoni, salami, diced jalapeños, sliced habaneros, crushed black pepper, ghost pepper Sriracha, and a wasabi sauce swirled around the top. Yeah, we double dare ya. It might not be at the top of your list for go-to pizza spots, but with their $6 pizza special on Wednesday nights, Leon’s is great for enjoying a slice during a weekday basketball game. 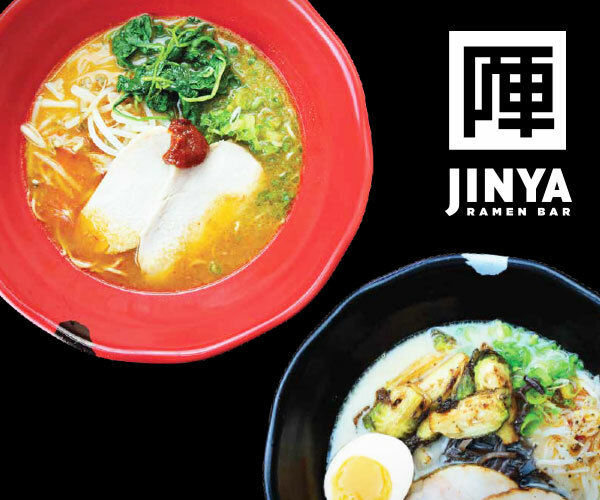 Not sure what to get? 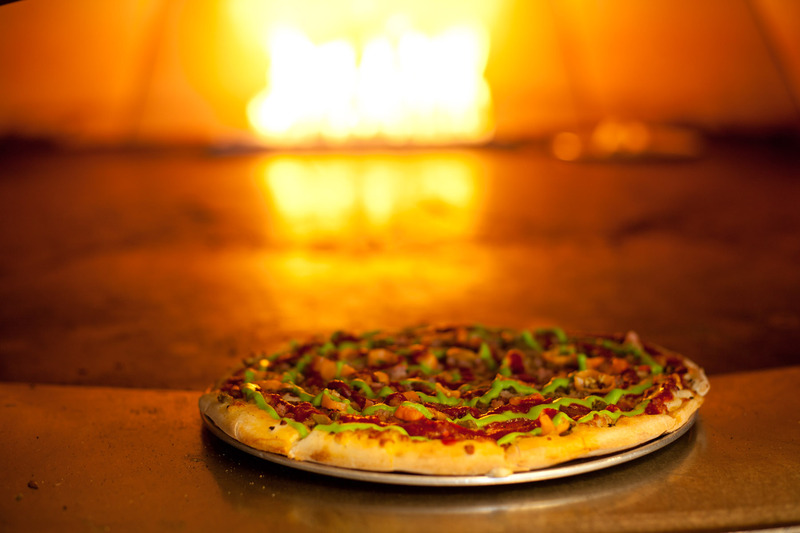 Go for “The Brooksider.” If a place names a pizza after their district, it better be damn good. And guess what? It is. This pie features fesh Italian sausage and pepperoni combined with oven-roasted garlic, black olives, red onions and red peppers on crispy, buttery crust. It might be taking a while for Tulsans to discover all the action over in the East Village, but they’re catching on, and Chef Jeremy New’s pizzas over at Bohemian are definitely playing a part. 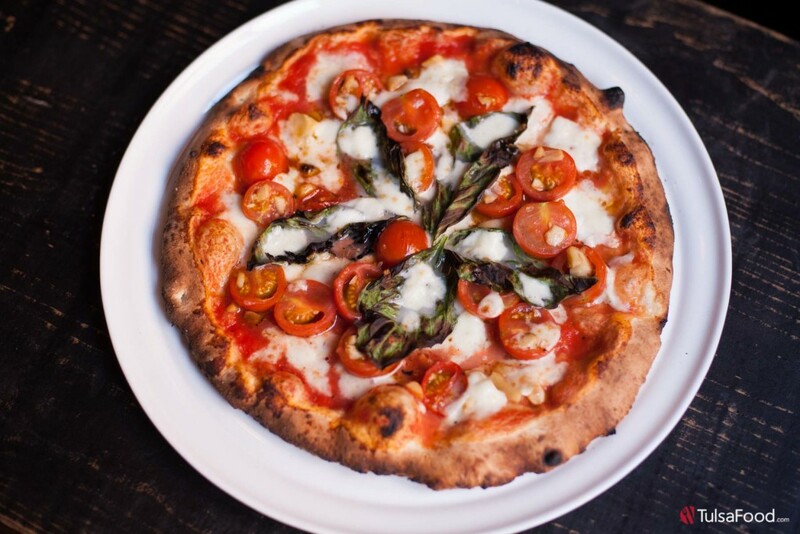 Bohemian’s wood-fired Neapolitan pies feature inventive toppings like Brussels sprouts, asparagus, and even potatoes. And several TulsaFood writers consider the Bohemian Margherita to be the single best pie in town. 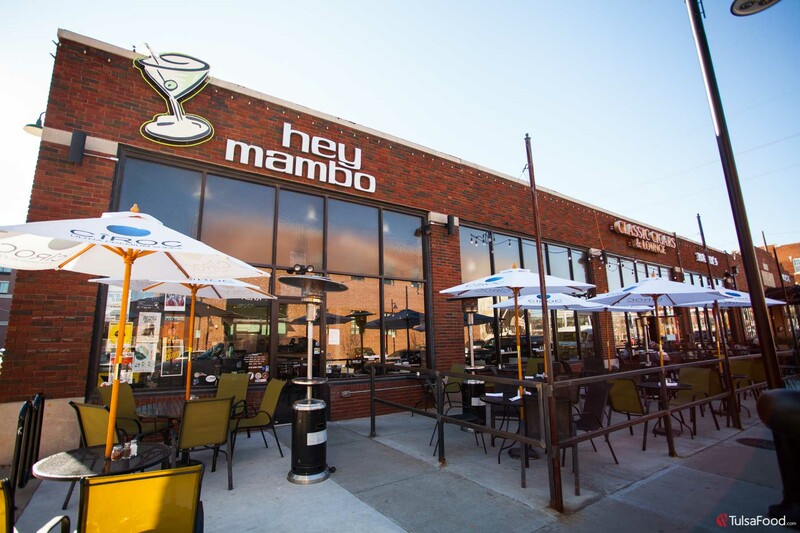 People-watching from Hey Mambo’s patio while enjoying high quality pie and local craft beer is pretty hard to beat on a beautiful day. Choosing which 16′ pie to order can be difficult. If you’re staying away from meat, they have (hands down) one of the best cheese pizzas ever. 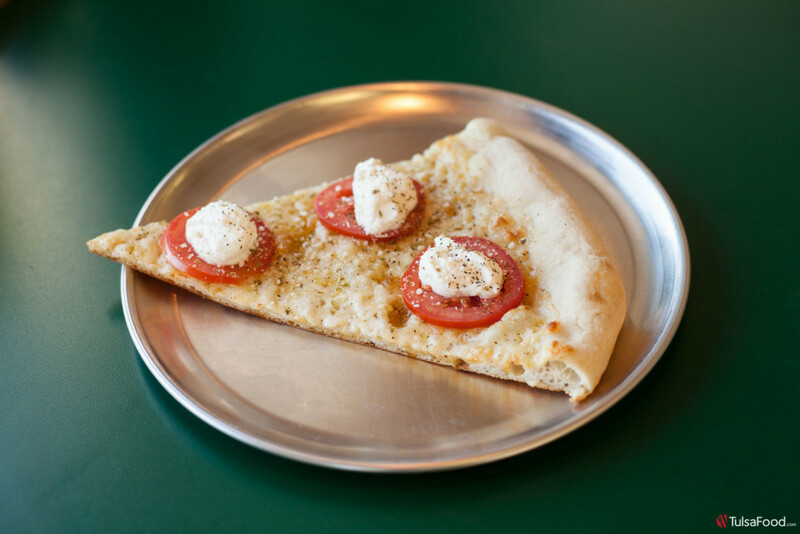 The “Big Cheese” has generous amounts of mozzarella, feta, parmesan, olive oil, ricotta, romano, and gorgonzola cheese. Then there’s the truly unique and delicious “The Center of the Universe,” featuring mambo pesto cream, artichoke, spinach, pepper bacon, prosciutto, roma tomatoes and feta. With their relentless insistence on using only the finest, freshest, most authentic ingredients (seriously—nearly everything STG uses in their pies gets shipped in from Italy) and their state of the art, Italian-made machinery, nobody in town does Napoletana pizza like STG. Bonus: pies cook in just 90 seconds, so you can grab your goodness and get on your way in a jiffy. TulsaFood’s Publisher, Mitch Dees, is currently in a deep love affair with the Diavolo. 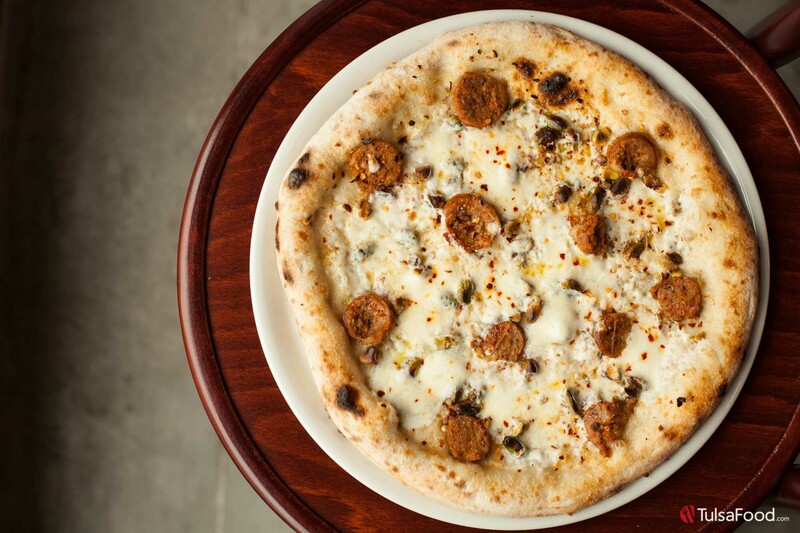 It boasts house made calabrian sausage, chili flake, pistachios, house made mozzarella fior di latte, fleur de sel sea salt, and extra virgin olive oil. It might not be the fanciest pie around, but for a cheap, delicious slice on the go, Pie Hole on Cherry Street is your best bet. Stick to the standard cheese for a tried and true classic, or spice things up with toppings like feta, kalmata olives, gyros meat, and jalapeños. 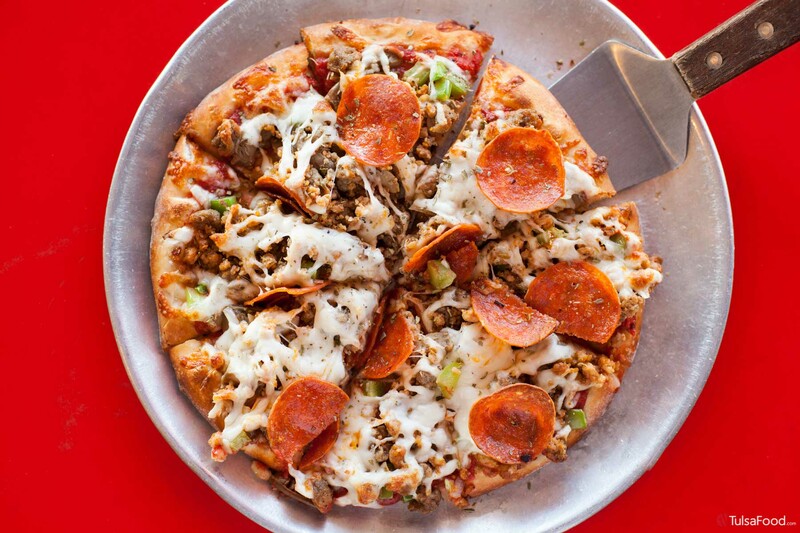 Umberto’s has been wowing hungry Tulsans for years, and it’s easy to see why: big, cheesy, 20-inch pies loaded with toppings (banana peppers, anchovies, pine nuts, and mandarin oranges are favorites of ours) for around twenty bucks. Now there’s a price tag we can get behind. Ever thought to yourself, man I really want pizza tonight, but I also really want Mediterranean food! However will I choose? Great news: you don’t have to! Laroma might be known for their pizza, but their Greek and Lebanese offerings are pretty bomb, too. Grab a cabbage roll, some tabouleh, and their supreme pizza (pictured above) for the full experience. Although the original (and its recipes) hails from our cowboy pals over in Stillwater, the Hideaway restaurants in and around Tulsa have a pretty good thing of their own going on. For a nod to the Oklahoma sports scene, grab the Boz or the Big Country, but for something downright delicious, get yourself a large Bomb and go to town. A word of advice? Call up some friends too, as this is one enormous, topping-laden pizza. We couldn’t craft a list of Tulsa’s best pizza without an ode to everyone’s first loves: Mazzio’s and Ken’s Pizza. 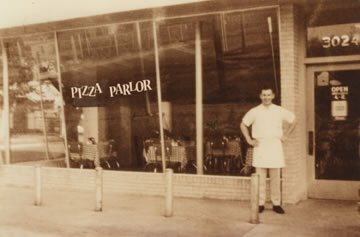 What started with a man named Ken Selby opening a small pizzeria on 11th St. (humbly named “The Pizza Parlor”) has since morphed into countless Mazzio’s and Ken’s restaurants across Oklahoma, Kansas, Texas, Iowa, Missouri, Arkansas, Georgia, and Illinois. And while Mazzio’s locations are still pretty visible around town, a pie from Ken’s is a bit harder to track down. The location nearest to Tulsa is out in Sapulpa. See an error? Please submit article corrections to suggestions@Tulsafood.com. Thanks for reading!